I guess Twitter is eager to get more advertisers using their ad system. Sadly they only open at 8am PST, which is pretty late on the east coast - otherwise I would have taken out an ad. 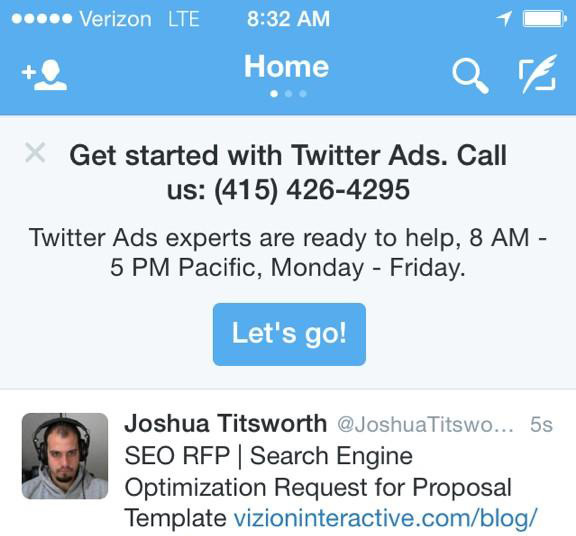 So get started with Twitter Ads, no - really, get started. @dohertyjf The next step for Twitter is when you close the ad message it automatically calls them at that 415 number.